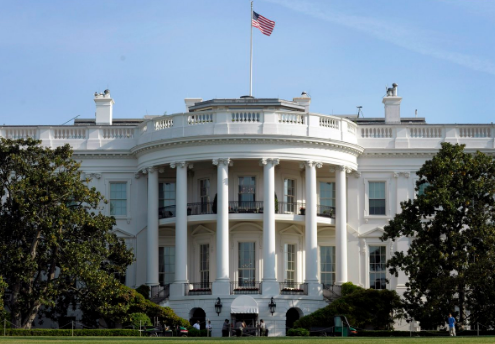 WASHINGTON -- The science division of the White House's Office of Science and Technology Policy (OSTP) was unstaffed as of Friday as the three remaining employees departed this week, sources tell CBS News. All three employees were holdovers from the Obama administration. The departures from the division -- one of four subdivisions within the OSTP -- highlight the different commitment to scientific research under Presidents Obama and Trump. Under Mr. Obama, the science division was staffed with nine employees who led the charge on policy issues such as STEM education, biotechnology and crisis response. It's possible that the White House will handle these issues through staff in other divisions within the OSTP. On Friday afternoon, Eleanor Celeste, the assistant director for biomedical and forensic sciences at the OSTP, tweeted, "Science division out. Mic drop" before leaving the office for the last time. Kumar Garg, a former OSTP staffer under Mr. Obama, also tweeted, "By COB today, number of staffers in White House OSTP's Science Division = 0." "All of the work that we have been doing is still being done," a White House official familiar with the matter told CBS News, adding that 35 staffers currently work across the OSTP. "Under the previous administration, OSTP had grown exponentially over what it had been before," the official said. "Before the Obama administration, it had usually held 50 to 60 or so policy experts, director-level people, for all of OSTP." The Obama administration staffed the OSTP with more than 100 employees. Garg, the Obama-era OSTP staffer who tweeted Friday, said the size of the office under the Obama administration reflected Mr. Obama's "strong belief in science, the growing intersection of science and technology in a range of policy issues, and as showcased in the OSTP exit memo, in a sweeping range of [science and technology] accomplishments by the Obama science team." The Trump administration hasn't demonstrated the same commitment to science to date, most notably by naming climate change skeptic Scott Pruitt to run the Environmental Protection Agency and announcing the U.S. would withdraw from the Paris climate agreement. But the Trump White House has decided to continue the tradition of hosting a White House science fair, an event started during the Obama years, CBS News reported in April. On Friday, Mr. Trump signed an executive order re-establishing a National Space Council.